1964 Ford Mustang in San Diego, CA for sale. Price Analysis: Good Deal, 43.0 % below market avg. What's this? 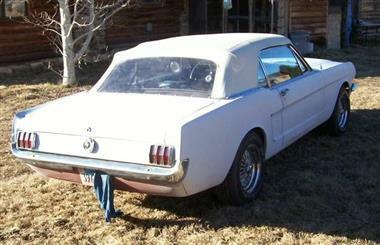 19641/2 Ford Mustang Convertible. A True Early 1965 Build date June, 22nd. It was painted the rare Guardsman Blue. Restoration was started about 6 years ago. The most recent work being the engine. The engine bay itself looks good, but was not painted prior to installation. The left front Wheel Cylinder was also Replaced at that time. All Brake Pads looked excellent. 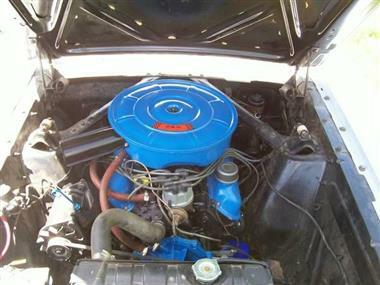 This is a Professionally Rebuilt 260 V8 Engine with 524.5 Miles. The Temp Gauge says she runs a little hot. New Clutch. New Seals and Fresh Oil in the 3 speed Transmission. Vintage Glasspack Muffler sounds good but not loud. New Fuel Tank w/Sending Unit. Rockers, Rear Frame Rails, Partial Floor Pans and New Carpet installed. The Hood is New Ford Tooled with the 64 1/2 type sharp edge. NOS Head Light Assemblies with the unique and rare 64 1/2 beveled edge. The Left Quarter Panel had been replaced at some point. Both look to have been repaired. New Aftermarket Fenders (The originals may be repairable and are included with a patch panel). Primer grey, the Body has a few small dings. The Top is New and is the manual type, also a New Boot. New Rear Shocks and Springs. New Master Cylinder. New Dimmer Switch and Front Signal Light Assemblies. The tires have about 1,000 miles on them. Wider than stock, they rub a little in the back on bumpy roads. The Seats are Very Good. The Door panels, arm rests and Kick panels fair, but included is a New TMI brand Upholstery Set in two-tone Blue and White and also New Arm Rests, Kick Panels and Sun Visors. Also Included but not installed, Nice OEM Emblems, Grille Bars and Horse and Many Other Parts as listed. A Very Solid Car with a little rust in the fender wells, trunk and on the chrome wheels. She still needs work, but the really hard stuff is done. I have Most of the receipts in hand. License expired last October. Garage Parked, it has not been on the road for about a year, but is started occasionally. Runs and Drives, but I wouldnt hop in and head across country in it until the points, carb. and timing are re-adjusted, brakes bled etc. 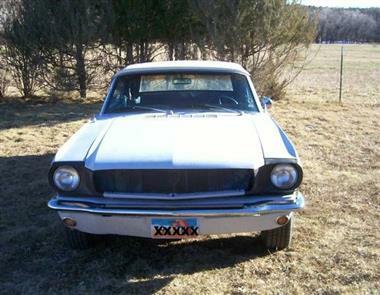 This vehicle is priced $15,997 less than the Average Market Price of $36,997 for a 1964 Ford Mustang. This is a Good Deal as it's priced 43.0 % below market avg. The Pie chart below shows the number of ads within different price ranges.